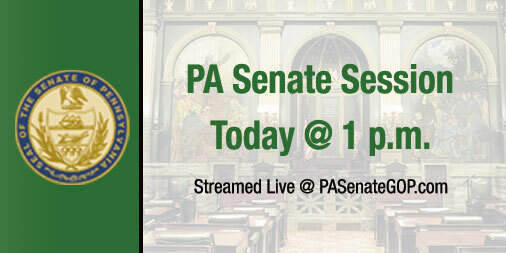 Sen. Scott Martin (R-Lancaster) will join colleagues for a news conference today to highlight bipartisan legislative efforts to combat pediatric cancer. Legislation introduced by Sen. John DiSanto (R-Dauphin) to ensure that public employees who commit job-related felonies are stripped of their taxpayer-funded pension was approved Tuesday by the Senate Finance Committee, chaired by Sen. Scott Hutchinson (R-Venango), in a unanimous, bipartisan vote. Sen. Mike Folmer (R-Lebanon), Sen. Tom Killion (R-Delaware), Sen. Pat Stefano (R-Fayette) and Sen. Scott Martin (R-Lancaster), held a press conference Tuesday on a soon-to-be-introduced bipartisan election reform package. Two days into the start of the 2019-2020 Legislative Session, a legislative proposal championed by the Chesapeake Bay Foundation’s Pennsylvania Student Leadership Council has already won support in the Senate. On Tuesday, the Senate State Government Committee, chaired by Sen. Mike Folmer (R-48), unanimously approved Senate Bill 9, sponsored by Sen. Gene Yaw (R-Lycoming), designating the Eastern Hellbender as the first “State Amphibian” of Pennsylvania. The Performance-Based Budgeting process – measuring state spending against expected results – got underway in Pennsylvania January 22. 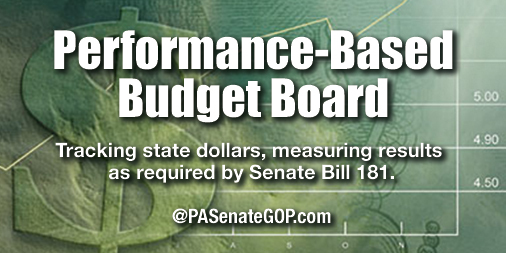 Performance-Based Budgeting was implemented as a result of legislation sponsored by Sen. Bob Mensch (R-Montgomery), Senate Bill 181 of 2017. You can view the board hearings here.